We make buying, selling, collecting, and learning about American coins easy. At American Coin you can learn about how to identify American coins, find mint marks, understand how grading affects prices, know how to buy, collect, and sell, and learn about the risks of investing. If you are new to buying or collecting coins, check out the How to Buy Coins section of our Coin School. And if you want to sell coins, start with our How to Sell Coins section of our Coin School. At American Coin, we educate you about coins. We tell you the pros and cons of selling in various ways. We allow you to make an informed decision about where to go with the coins you have. Many people inherit coin collections. This is one of the best places to come to answer your questions about how to liquidate inherited collections. If you want to learn more about coin collecting in general, visit our Coin School. You can learn more about the hobby of coin collecting. We recommend that you start with learning how to identify your American coins. Then learning about buying, collecting and selling coins will make your coin collecting experience more enjoyable! 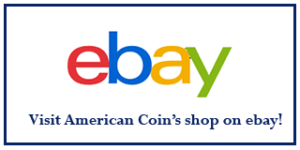 If you are looking to buy coins for your collection or as an investment, American Coin can help. Buying coins successfully requires no more than a good knowledge of coins and the coins marketplace. 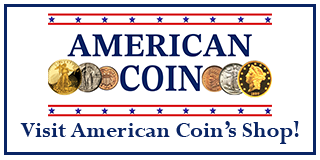 If you are looking to sell your coins and would like to better understand the coins marketplace and how best to sell, American Coin provides the tools and expertise to help you be successful. 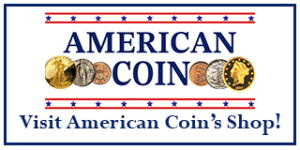 If you are a beginning collector or investor looking for a great resource to learn about coins and coin collecting, American Coin is pleased to provide our online Coin School. 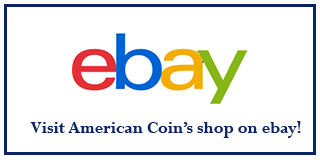 On this site you can learn about identifying coins, grading coins for quality and value, finding the best channels for buying or selling, and much, much more.